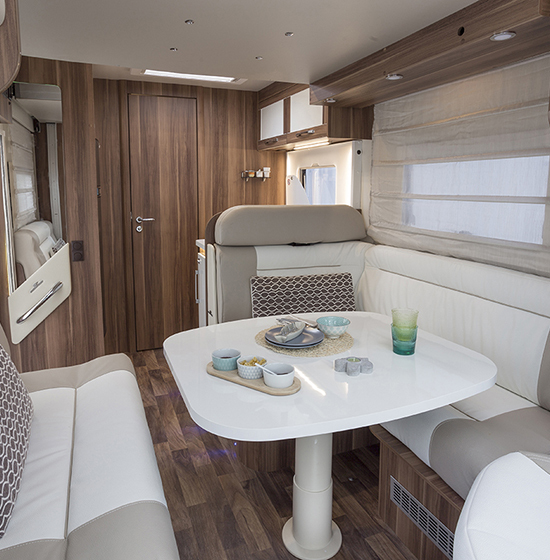 Providing a spacious and comfortable living space the luxurious T-Line 590, 2 berth motorhome is ideal for couples who love to travel and explore. 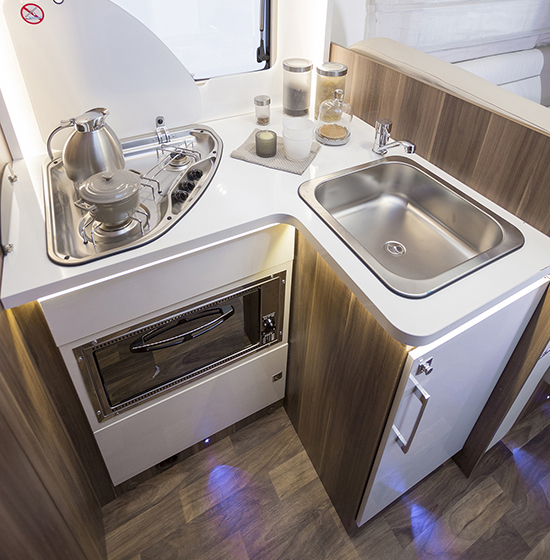 The compact vehicle measures under 6 metres making it ideal to take anywhere! 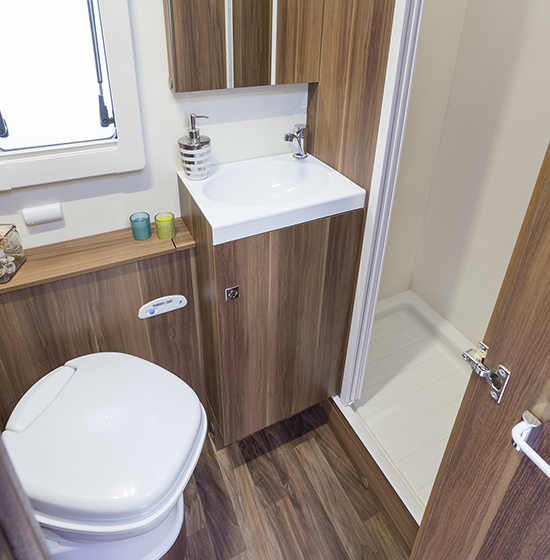 Features include a spacious lounge/ dining area, practical L shaped kitchen and a large 150L fridge freezer, spacious washroom with separate shower and toilet with excellent storage capacity. 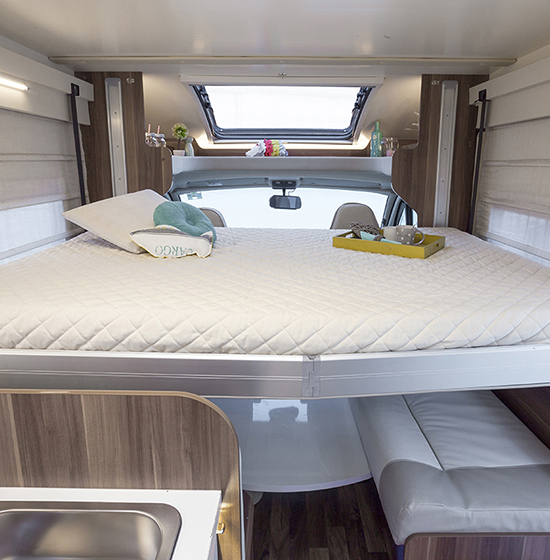 The vehicle provides maximum sleeping comfort as the electrical elevating bed can be positioned at any height and stops above the lounge seating area. 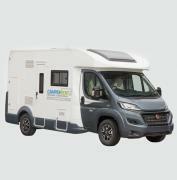 This compact yet comfortable vehicle is ideal for those new to motorhomes. 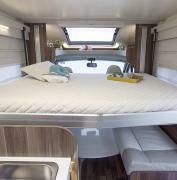 Bed dimensions (L) & (W): 1850mm x 1340mm. Not suitable for wheelchair access. - Early vehicle collection is available at an additional cost of GBP 75.00 between 09:00 am and 12:45 pm. - Late drop-off is available at an additional cost of GBP 75.00 between 11:15 am and 4:00 pm. **** Other times may be arranged by appointment if available and at the discretion of Camper Rent Uk Ltd.
- Complimentary pickup from Leighton Buzzard train station to the depot. Please call +44 (0) 1525 300055 once you arrive at the station. - This branch is located approximately 40 minutes drive from Heathrow by car. - Collection: Please allow 1 hour for the hand-over at the depot - to complete the documentation and demonstrate your vehicle to you. 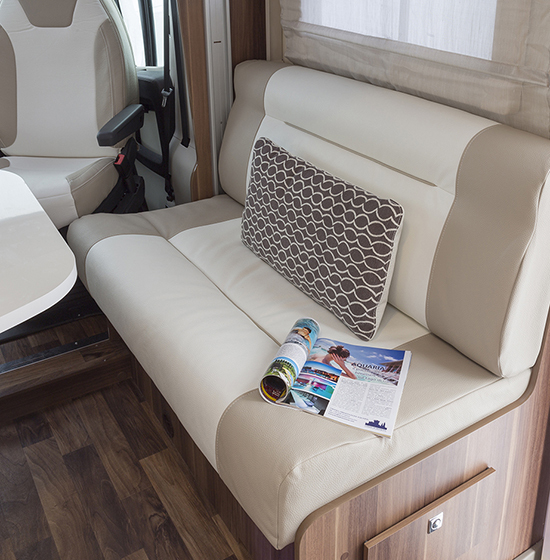 All drivers need to be present on collection of the motorhome and bring their full valid licence and passport and credit or debit card for security deposit. - Return: The vehicle must be returned on the correct date, and before the time stated on the rental agreement - please allow 1 hour for the hand-over at the depot. London Gatwick Airport is a serviced non depot location. This is a non-depot location. Please see below for single journeys. 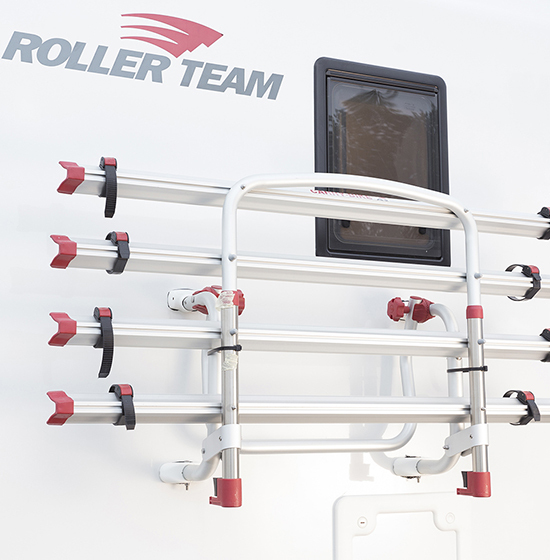 Return prices are based on the same values. London Heathrow Airport is a serviced non depot location. London Stansted Airport is a serviced non depot location.